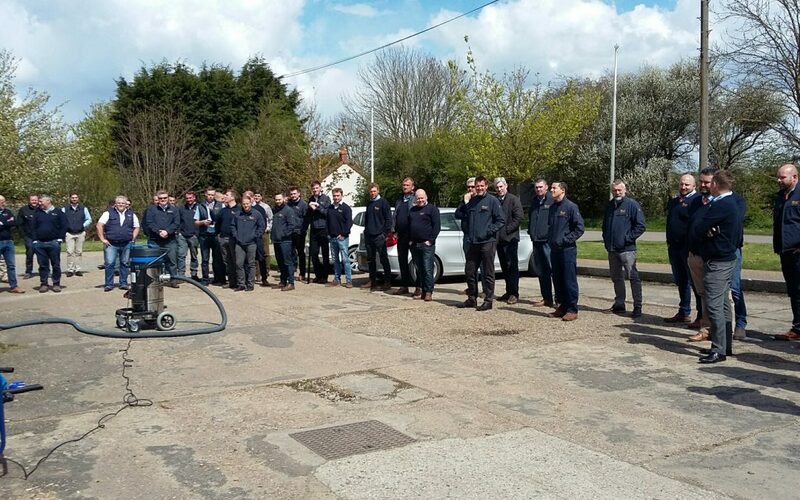 Andy Whiting, Managing Director at Spinaclean, forecasts a future of safe high level cleaning for Facilities Managers. “The last decade has seen a huge shift towards safer working procedures and thanks to the HSE’s Work at Heights Regulations 2005, a completely new sector of business was born – the pole working revolution. It started a decade or so ago with pole window cleaning systems. More recently gutter and high-level indoor cleaning systems such as my company makes, have further developed the market, but this is only the start of pole technology. “Ground control to major income’ is the thinking behind standing safely at ground level to control guttering and roofing issues, providing a good profit for everyone involved. It is an effective way for Facilities Managers and cleaning specialists to make decent margins, whilst dramatically reducing the previous cost of carrying out high level cleaning and inspection tasks. “I see many new types of businesses emerging from pole and video camera technology. I believe that in the coming years every Facilities Manager or Maintenance Manager will have a carbon fibre pole that will reach a minimum of three storeys high. How he/she uses it will vary, but with the opportunities that video cameras and accessories offer, it will become a multi-purpose tool. Poles are not only used as a vacuum to clean gutters but to remove slipped roof tiles, bird/wasp nests or to pump substances to heights. “Poles will be used extensively for inspection purposes, much to the annoyance of cherry picker manufacturers who will lose out. A video camera can record and monitor flaking paint or damaged brick pointing, for checking slipped roof or ridge tiles, inspecting flat roofs, searching for leaking roofs or damp sources from leaking overflows. In addition, the poles add a new dimension to pest controller’s package. “The pole revolution is in its infancy but it is exciting because everyone benefits. This method or working from terra firma is good news for employee safety; it reduces accidents relating to ladders and scaffolds, helps reduce employee safety insurance and gets jobs done immediately for a fraction of the previous price. To view our range of high level cleaning equipment including our new ATEX range visit: [email protected]. For working at height, risk assessment go to: www.hse.gov.uk/risk/risk-assement.htm.